When it comes to remodeling a kitchen, a great part of the design details will go into the backsplash. While this may look like a simple project, choosing tile for your kitchen backsplash can be quite complex as there are so many things to consider that will give your overall kitchen an inspired look. 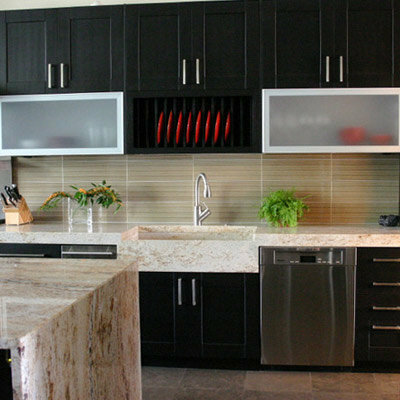 In order to get it right, Westside Tile and Stone ensures you don’t miss anything as we provide the best kitchen backsplash tile options. We have a wide variety of tile designs and collections for wall tile and backsplash tile with a huge range of patterns and styles for your new kitchen look. 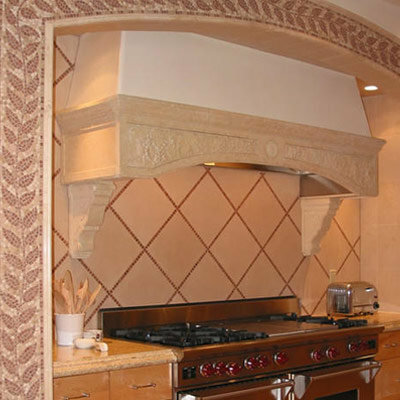 We provide exquisite kitchen tiles and stone materials throughout the Southern California area. Choosing tile for kitchen backsplash requires that you consider a variety of things to help you get it correctly. The following points to keep in mind before choosing the tile for kitchen backsplash. When choosing tile for your kitchen backsplash, the color should typically be one of the first choices you will make. 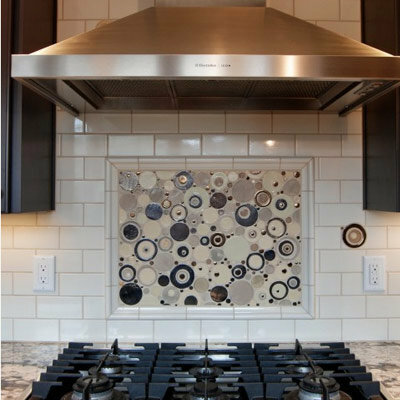 You need to put into consideration if you want your backsplash to stay neutral or to be colorful. While colored kitchen backsplash can make a huge impact on your space, a neutral backsplash can as well boost the space with great highlights. Different strokes, different folks! Whatever you choose, try to make it adaptable since some people are better attracted to color, and some others to neutral space. Don’t ever overlook backsplash height as you need to consider where the backsplash will end. Cabinetry can help you decide this as well. In case you desire more tiles, consider extending the backsplash to the ceiling, specifically where there are no cabinets – like over a stove or sink. Material for your backsplash is as vital as your choice for color. You need to consider if glass, stone, or ceramic tile will suit your needs. You need to consider if such material can withstand wear and tear and last very long. Also, you need to look into areas such as if it has low maintenance or is easy to clean. Since the tile backsplash will generally be up against the countertops, it is vital you ensure the materials and colors fit well together. You need to consider whether fun patterns or classic shapes are the perfect fit. You can make your kitchen stay timeless in design with classic field tile size that ranges from 3 x 6 or a 4 x 4 straight set pattern, among others. You can’t do without a budget when it comes to making choice for your kitchen backsplash. With a tight budget, you can still get standard field sizes to fit. Considering a few hand-painted pieces with classic field tile can be budget friendly and an easy way to add artistic appeal to your kitchen space without going over limits. It is recommended that you invest in good grout. Bear in it mind that grout is the mainstay of your backsplash. Also ensure proper sealing at all times! Be aware that tiles sometimes break at the point of installation, so be careful here. Also, know that purchasing tiles in separate batches can enhance the possibilities of mismatched colors and other inconsistencies. We advise that you purchase more than you would require per time – the first time around. Also, do not forget the trim. Confirm well to always purchase the trimmed tile, as the entire pieces should match in thickness & glaze. Overview: With Ceramic Tile, you get the most versatile backsplash material that’s great and that comes with wide range of shapes, texture, color, and size. 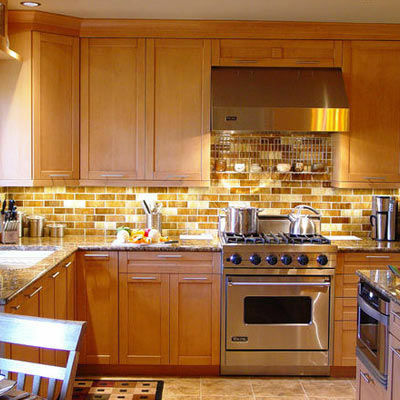 Ceramic tile backsplash is budget friendly and very affordable. They are durable, rugged, and easy to clean or wipe off. They come in wide range of designs, patterns, and texture. You can get specific hand painted tiles for that desired exclusive look. Easily replaceable if broken since they are affordable. This choice has too many joints and grout that easily trap dirt & grease. 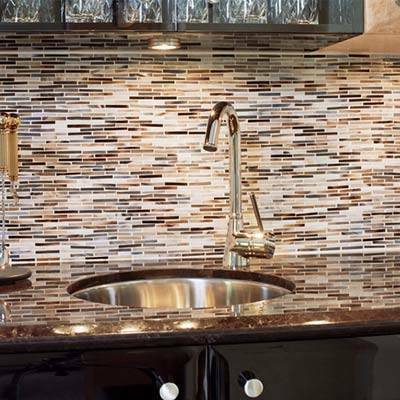 Overview: Glass tile backsplash is trending and it has the capacity to add beauty to your kitchen and make it look brighter. It comes in a wide range of styles including those of colored glass tiles, textured glass, frosted glass, etc. glass tile materials aren’t permeable, and can easily repel mold, stains or mildew. They reflect light, creating brighter and larger appearance. They are also more eco-friendly when compared to others like ceramic. This class of tile is also non-flammable. With clear glass material, they can be used to secure walls against moisture & food splashes, among others. This set of tiles is expensive and cost more than the other tiles. They are prone to scratches that can easily be seen. Overview: In a kitchen space, you can find diverse metals including brass, steel, copper, aluminum and tin, among others. 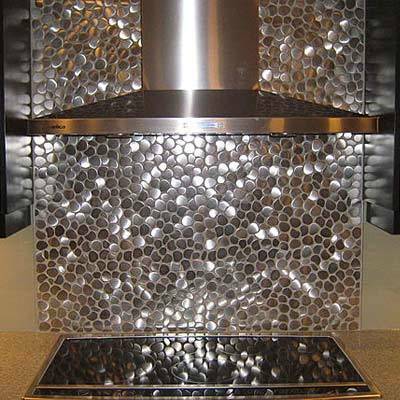 Metal tile backsplash is therefore an ideal option – particularly due to its non-porous, water-proof and reflective features. With the ability to reflect light, metals generate the impression of a larger kitchen space. They are high-maintenance material and can reveal scratches. They can be dented and can be noisy if not well stabilized. Overview: Wood tiles are easy to polish and come very affordable as well. Can be easily scratched or be torn apart. 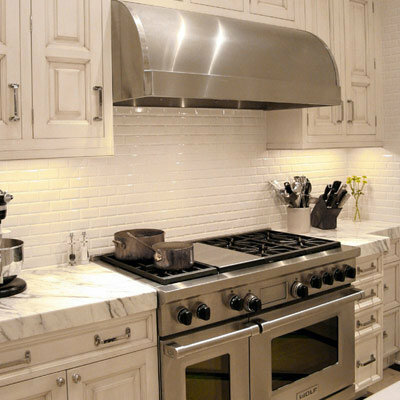 Overview:Can be quite costly, and has also become really popular for kitchen backsplashes. It is as hard as diamond. It is resistant to heat, UV light, acids or scratches. Makes kitchens look more elegant. Very easy to maintain & clean. Shines more and more with recurrent cleaning. Granite practically has no drawbacks, apart from it being a bit porous to an extent and with its high maintenance. 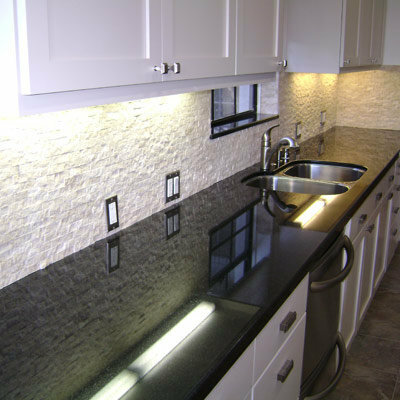 Overview: Just as granite tile backsplash, Marble backsplash also adds stylishness to a kitchen space. It is not often utilized due to its porous nature and capacity to get easily stained. It offers luxury look to any kitchen. It comes in a wide range of lighter shades, and is thus good for helping kitchen space appear brighter. Quite porous, and needs constant waxing. It takes stains easily and easily gets discolored when exposed to juice drinks like lime and lemon that’s acidic. Overview: This contains about 93 percent quartz and 7 percent high-performance polymers. This makes it ideal for a wide range of residential, commercial and industrial use. They are highly durable and resistant to any kind of damage. They have the capacity to last for decades. Very flexible and easy to maintain, and install. Very resistant to heat from pots and plates. Doesn’t appear natural in terms of color, and aesthetic magnificence. Overview: Highly distinctive in appearance, and can easily fit into a traditional design or a contemporary kitchen scheme. Low porosity and does not take stains. Easy to install & almost maintenance free once mounted. Since it comes in dark gray, purple, green, red; color choice of color is limited for those who want more. 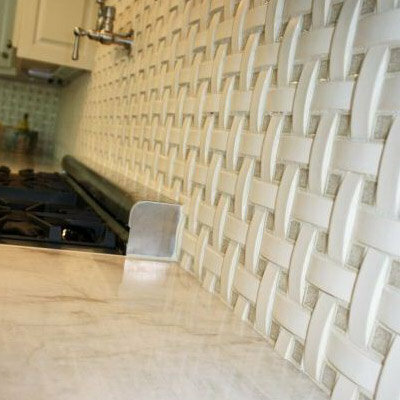 Overview: This is perfect for a backsplash any time any day! Highly durable and won’t crack easily. Retains heat well with the heat evenly distributed all through the surface. Comes in various colors and textures. Requires scheduled maintenance and coating with mineral oil many times annually in order to prevent discoloration and cracking. Thinking about creative and elegant kitchen backsplash ideas, you can browse through our collections to help you breathe fresh life into your kitchen. We feature elegant room scenes designed to help you select the ideal design for your kitchen project. We have several kitchen backsplash ideas that suit any specific home design – right from contemporary to eclectic choices. With any of our modern or traditional kitchen backsplash options, you can get that stunning kitchen that you have always desired. With this collection of tiles, you get a selection that is intricately cut with lasers. These are elegant designs pieced together just as a puzzle and are made from precious materials such as marble and quartz, or from silver-backed glass or handmade gold, among others. It doesn’t matter if your kitchen backsplash goes thru to the end of the upper cabinets, or goes all the way thru to the ceiling, or maybe is just somewhere in-between, utilizing any of these stimulating and captivating tiles can boost the overall looks of your kitchen. With such mirror tile ideas assembled into one innovative design, you can immensely enhance your kitchen look. This is ideal for that space within your kitchen that needs that extra touch such as the buffet spot or serving point – among others. With this tile idea, you can give your kitchen that diagonal spin. This will provide you a diagonal layout that is beautiful. This, however, requires around 10 percent more tiles to finish your kitchen backsplash. This is what is in vogue for now. 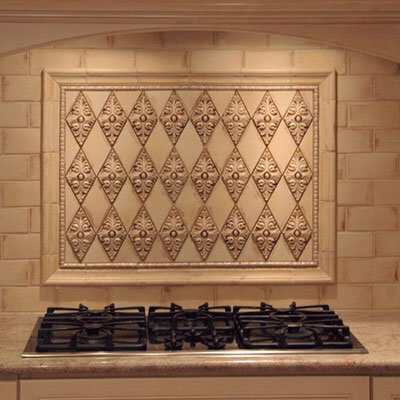 When you place large patterned tiles on your kitchen walls, you will see how exclusively beautiful it will appear. It, however, requires laying your wall space thoughtfully, in order to make your designs appear even. With this tile collection and idea application, you can creatively add loads of texture to your kitchen. With this, you can purchase 12*12-inch backing material to piece things together perfectly. From a wide range of shapes, sizes, and colors, you can get specialty shaped tiles that will help beautify your kitchen space. This is highly custom and special and comes at a cost that’s a bit high. Well said, if you are up for the budget and want something extra special, get going with a design that is all your own.mosaic tiles put together helps create a stunning custom design. This offers your kitchen a whole new vibe with a glamorous look. With some creative color and décor theme with countertops, you can create that cohesive design that’s stunning. You can get so much – uniquely designed and presented with mixed materials that include glass, mosaics, stones, etc. 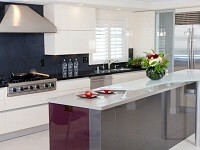 to create that kitchen glamour in a range of styles that is simply amazing. 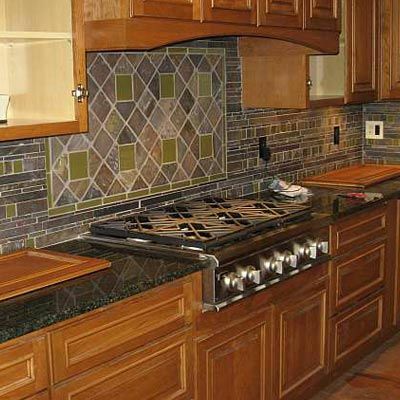 We provide the best kitchen backsplash tiles collection in Southern California. In case you seek for the best and most reliable tile store in Los Angeles, CA; trust us as the best tile store near you where you get all the tile and stone materials in utmost quality at one place which would be time-saving for purchasers. 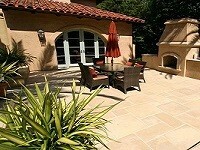 Westside Tile and Stone is focused on offering you high standard, professional tiles that you can rely upon. Not only are we bringing you the ultimate value and quality for your money, but you can count on us to offer you designer backsplash tiles too. 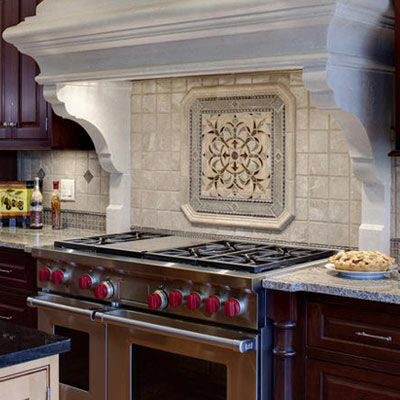 Contact us today for more detailed information on kitchen backsplash tiles, design, materials, tile ideas and installation or you can call us at 818-704-9222 or 310-276-9222 for free consultation. You will require firstly measuring your wall to find out exactly the volume of tiles needed. In case you only have one area to cover, you can multiply the width & height of the wall to get a square footage. This will reveal the amount of time required for your new backsplash. Once you have the right measurement, PREPARE YOUR WORKSPACE by removing every appliance from your countertop. Now PREPARE THE WALL by patching any holes seen. Clean off any grease or any other stains. PRE-LAY THE TILE by placing tile across the wall and marking your starting and end points. You can cut tiles to properly fill your backsplash area. PREPARE THE MORTAR and then apply thin-set mortar on the tile. Finally, LAY THE TILE, Dry, and Pre-seal the tile, and after that clean the tile and prepare the grout. GROUT THE TILE and seal!